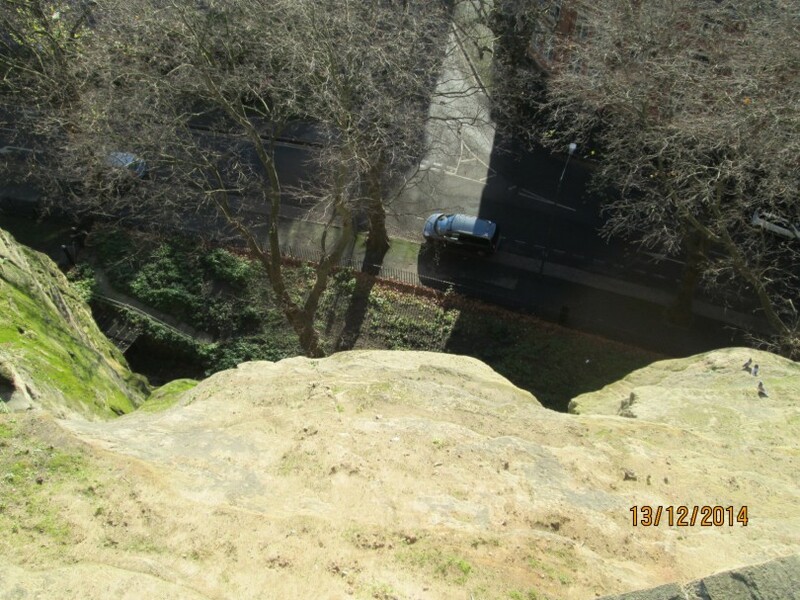 Inchcock Today – Friday 12th December 2018: Nottingham Castle Visit – Whoopsidangleplop and Accifauxpa! Of Course, they are lying on both counts! 0240hrs: Woke, while remembering a dream about being chased through sewers the brain informed me that I was thirsty yet again. I reached for the mug of orange juice on the Ottoman near the £300 second-hand recliner, only to find it was bone dry. So, I gingerly manipulated the body mass free of the chair and put the empty giant mug in the bowl to soak and made a small cup of Yorkshire tea. Got the computer started, took the medications, then did the Health Checks. All the results looked okay to me. A bit up and downish though, this week. Off to the Porcelain Throne. Messy, very messy! Downloaded the photographs to use on yesterdays and this post. Did this one up to here, and updated the Thursday codswallop, and got it posted off. At last, I got around to responding to the WordPress comments. Then I did some WordPress Reading. On to Facebook catching up. Ablutions tended to. Put the radio on while shaving and Bad News Flowed. I heard that the Nottingham Trams were not running due to an armed robbery incident on the route. The Nottingham Train Station was evacuated after the fire broke out at around 6.25am. Nottinghamshire Fire and Rescue Service say that 60 firefighters from eight stations are at the scene. The Station is closed, with no trains arriving or departing, and is set to remain shut all day. Oh, dear, and they just paid £50m to upgrade this too! Roads around the station have either been closed off or are very congested. 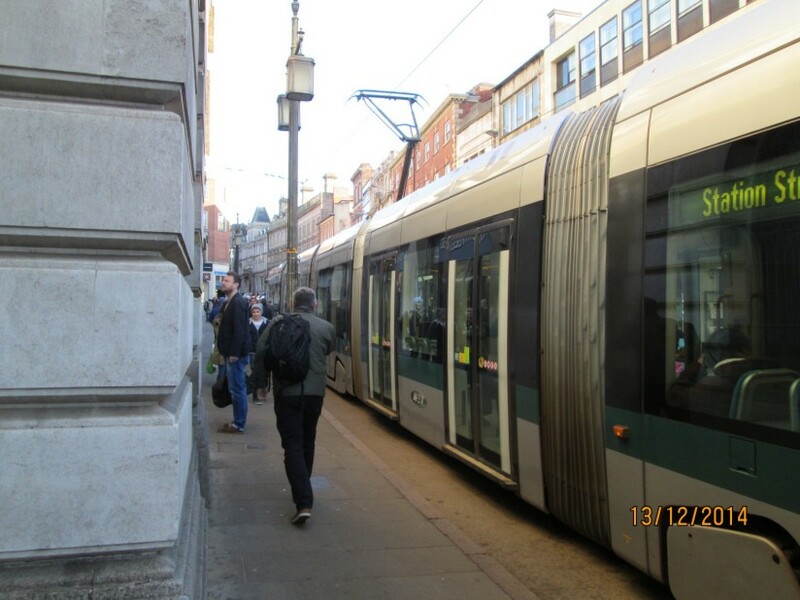 Nottingham City Transport is not serving any stops at the station or at Arkwright Street. Various roads closed off for the investigation by the police; this news was followed with: Nottingham Railway Station has twenty fire-engines in attendance at a fire that apparently started in the toilets on the concourse. No trains and no trams today; This was followed by reports of Traffic mayhem, and we must check before we attend any hospital appointments today, due to staff being unable to get into work. I checked on the weather I was about to go out into. Tsk! Spruced up, I took a recycling bag to the chute on the way out. 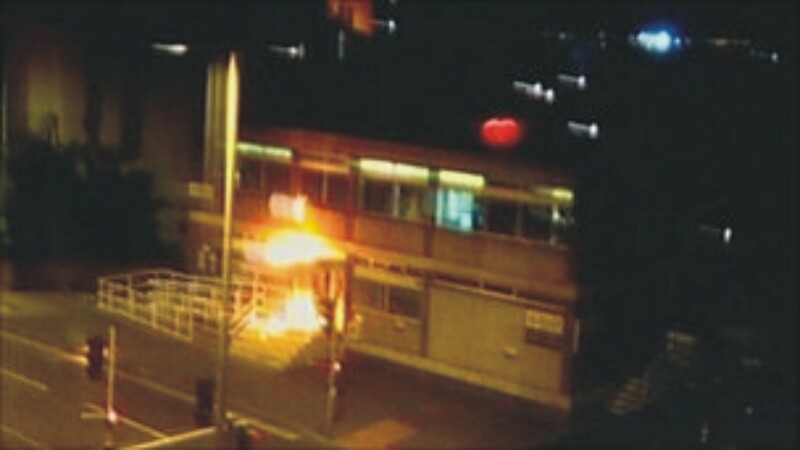 I thought it might be a bit of fun if I took the camera and went up to Nottingham Castle to get some shots of the Station Fire if I could. So I did. Outside and took a couple of photographicalisations around the block of flats. Got to the bus stop and had a chinwag with some others there, Frank and Welsh Bill both in the sarcastic, insulting mood, and we had a laugh or two. Had a go at the crossword book en route into town. Made my way straight to Robin Hood’s Maid Marion Castle. I got a bit of a shock when I went into the little shop to use my Pensioner’s card to gain entry. Yep, £6 to get in. I fumbled and found the one twenty-pound-note I had left, put on confident, nonchalant smirk-come-smile and cried inside, and paid the nice-lady. Hehe! She said I could use the ticket again if I want to gain entry, but it had to be used before March. I was not sure I’d be up to wanting to go there in freezing February? Paid my respects at the War Memorial. Ten minutes or later got a sensation from lower regions. Embarrassed, I went into to some trees and had a feel around. Just a little bleeding from Little Inchy, but nothing to fret over… I thought. Then at the Victorian Bandstand, I took a photo of the castle from the low area. I struggled up the incline to the Eas-West wall and hoped to get a photo of the station and maybe a little smoke or fire engine or two. But no luck, wrong position and a little misty. I thought I’d plod on m y way up to the top level to try there. By the time I get there, the mist might have cleared by then. 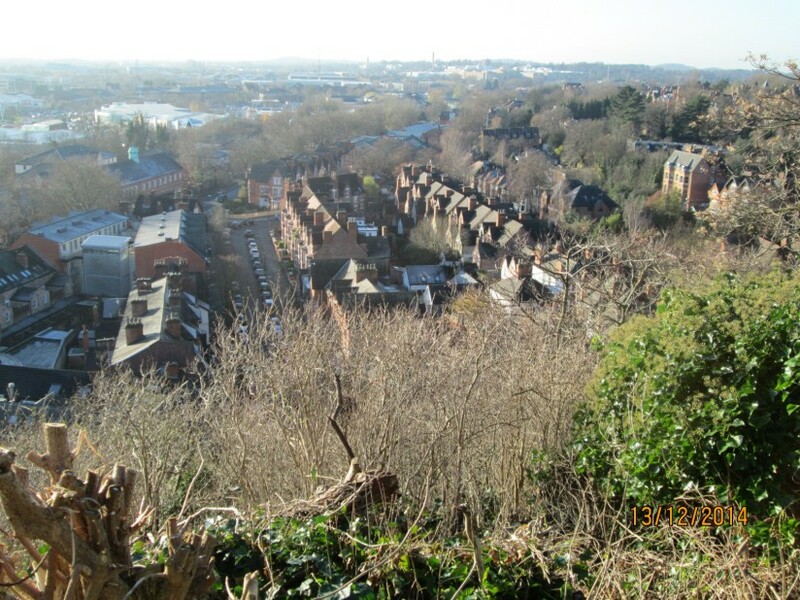 But, iI did take this of the old cave houses that Nottinghamian Proletariat folk did live in, many years ago. The brick building was built in 1895, much modernised since. A bit of a steep walk up the path to the old stone inner moat bridge. Where I came across this whatever it is? Plainly very old and weather worn, a bit like me really. Haha! I can’t recall seeing this before on any of my many previous visits. I spent a while recalling my meeting a girl who worked at the Wimpey Bar on what was then Gramby Street (I think) before they changed the name to Maid Marion Way. Be about 1963/4 I reckon. Over the bridge and left, looked at the steps that needed climbing, took a breath and pressed on up to the top in one go. (Head shakes with pride mode adopted!) When I got to the top of the concrete, there were two animals straight in front of me, a squirrel and a magpie on the small lawn. I carefully got the camera out as I took the last two steps… and tripped. Flash, whoosh, they were gone! Humph! To the wall and the entrance to Mortimer’s Hole. Mortimer History ← Click here. Of course, there would be trips down this time of year during the week. This brought back memories of long ago and got me a little excited. I went to the uniform gallery, and that was locked up. Then to the History Museum and that was also closed. As I turned the corner to go back around and down to the lower level, there came the wet, damp sensation from the lower regions. This time there was no need to check. Good job I had the safety pants on, I think I must have had a message from the EQ that made me wear them today? I carried on down and out, to catch the bus back so I could clean up, use the Daktacort cream and sorts things with Little Inchy. Darnations! just paid £6 for this visit too! Huh! Luckily I did not have long to wait for a bus as good fortune had it arrive within three minutes of my getting to the terminus stop. A most uncomfortable ride home. I thought things had settled and the bleeding might have stopped on its own; as I fidgetted in the seat. The compound was abuzz with activity as I walked back from the bus to the flat. Hastened into the wet room to sort out things. Well pleased with how the pad-pants protected me this time. Far less mess and hassle to clean things up. Put the unwanted items in a blue bag, sealed it, had a shower then took the blue back to the proper bin. Returned to the flat, changing into fresh trousers and fell over when I got my leg caught in pulling them up. What a state I was in. Hit my shoulder on the way down and banged my elbow on the way up. No, hang on, that was the other way around. Hahaha! Took the belated midday medications and did the Health Checks. Got the computer on and had a couple of hours and a bit updating this post. Nosh sorted. A simple affair, curried beans, tomatoes, sliced apple, potato chips, Scottish Plain Bread and pork knuckle followed by a lemon mousse. Did the pots and drank more Clementine juice and made another mug of tea. Health Checks and medications tended to. Settled in the messy, untidy room to watch TV. Unhappy with the mess around me, but aware that they will be returning to knock out the balcony and fit a new one, also to sort out the radiator drawer and cupboard door blocking and making more mess. Started to watch a Law & Order episode and lasted only up until the first set of commercials, the nodded off. A scary dream woke me. In it, just about everyone I’ve ever known, and film characters, singers etc. were chasing me, in underground tunnels. “Shouting “You’ve got to go youth!” repeatedly. Where to I didn’t know, just felt I did not want to go wherever it was. We were suddenly on a ship, below deck, (Me still being pursued on foot) a cruise liner type, but it was scruffy, for there were portholes in the passageway… I was ejected out of one of these openings and recall thinking as they hacked off bits of my torso to get me to go through the window, “Well, at least I lost weight before I died”. Down into the cold ocean water… something else happened I’m not clear on, and then, I was in a barred cage with penguin looking angels approaching. They were most annoyed telling me they did not want me here, there were not enough pilchards to feed me… and I was back, body-parts reattached and being chased in the underground tunnels, by all and sundry? I got the torch and scribbled notes of this dream. So glad I did now, cause the memory of it was very vague in the morning when I updated this blog. I spent a few second trying to work out what could have prompted this episode. Not that it mattered, and was soon off into the land of nod again. What a night of dreams… and Nightmares! Can’t recall any details but somehow I know they were frustrating and embarrassing? Started laptop and made a cuppa. Then took me medications. When I eventually found me reading glasses I worked on blogs for a few hours, then moved to Facebook. BT internet okay at the moment? Got an email from Nottingham City Council about it being free to get into the Castle Today instead of £4. Twixt 1000hrs and 1600hrs. 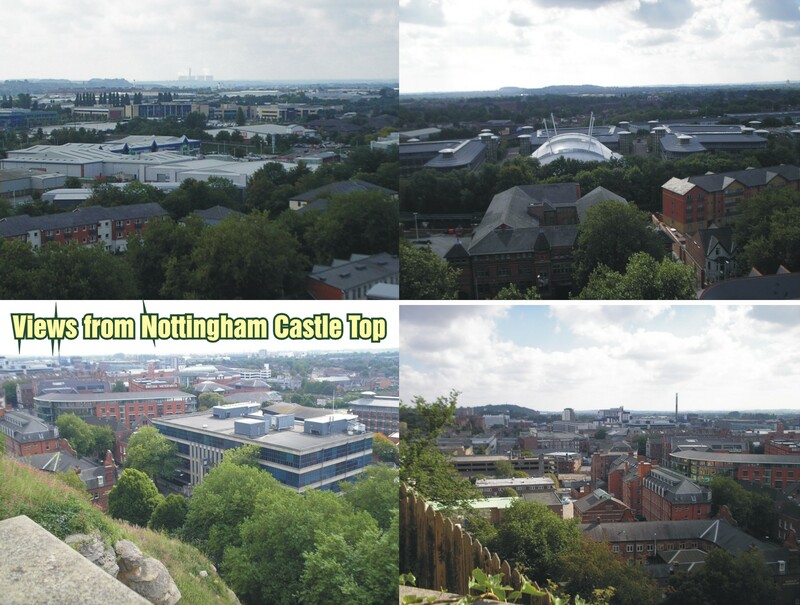 I am back, after quite an entertaining but disappointing little walk at times to Nottingham Castle. Taking a photo when I was about ¼ mile from the City centre. Took it from the central part of the pelican lights. Not too cold now at all. Made my way down into town and though the Slab Square with its Winter Festival in full swing. As expected the place was teeming with folk, not that very many of them looked very happy apart from the kids. I’ve noticed this lately… the general gloom of folk in and around Nottingham? I called in the Chinese food store on Friar Lane to see if they had and new seaweed flavours in so I could get some for my Sister Jane as a treat ‘cause she ain’t very well. Took the surprise out of it when I found they had some Wasabi flavoured seaweed in – so I called her (At last I’ve used me mobile phone) to make sure she liked it first and asked her if she’d like me to get her a packet on me way back from the Castle. She did. As I approached the entrance, there were many folk lingering about. You could tell it was free as opposed to the usual £4 to get in. Last time I went and paid there were only about 8 people there besides myself, this time there were four times that number just at the little shop at the entrance. I made my way left and up the lower hill passed the candyfloss stall and up to the perimeter wall. I must say the view was breathtaking even though I knew the crimes that had been committed in the various quarters I was looking at. The first photograph I took, I tried to make interesting by keeping a bit of the Nottingham Castle rocks in view while taking in the long distance shot of the power station. The next one I took of the City Centre Broad Marsh area with a contrast of old and new buildings in it I hoped. The next one of my masterpieces of photography (Lie mode adopted here you’ll notice? Yes I thought you would! Tsk!) wot I dun was taken leaning over the wall and straight down onto Canal Street. 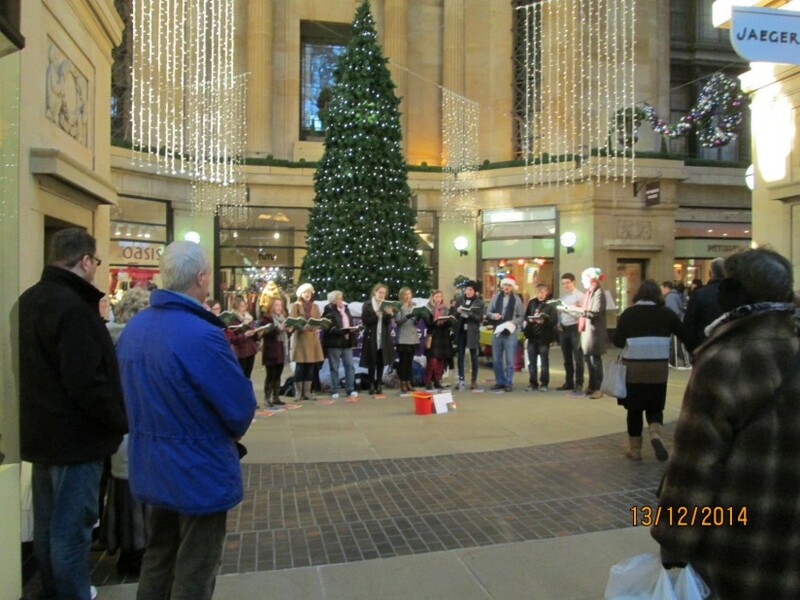 What I thought was a good escape route from the noise of the singing… Tsk! Taking this reminded me of my youth, when the consumption of alcohol was of great importance to me. In the background was not the Brass Band as promised in the email, but two young lasses singing with squeaky voices of which I could not understand a word, bless em. There were only three people stood or sat listening to em too. So I walked down a little footpath to escape the noise. 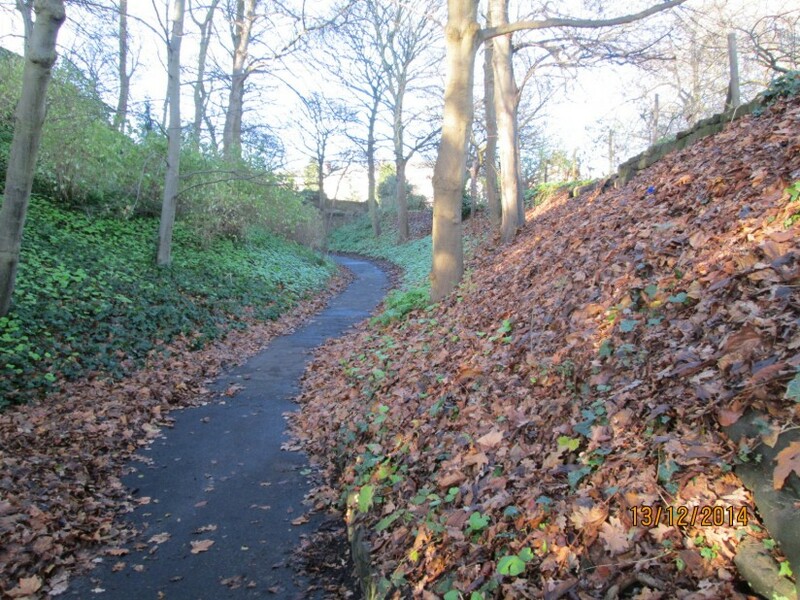 I’d never noticed this path before, so sheltered yet so pretty I thought… until I got to the end of it and there were steps all the way up to the top level! Still I made it up to the top. 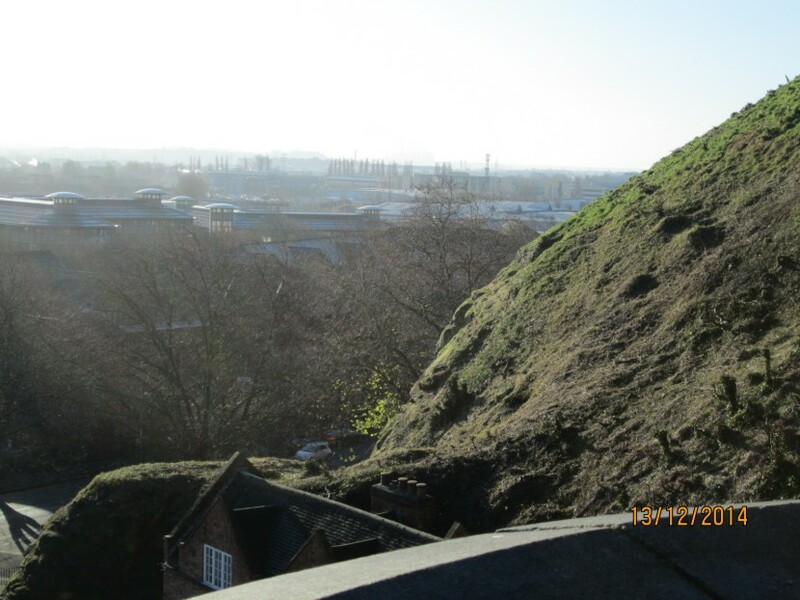 Once there I took what I thought was a good photo of the growth on the castle rocks in the foreground, and some houses in Lenton in the distance. I’m was getting worried about myself now trying this David Bailey imitating. I hobbled around the corner and there was one of the telescopes with no one using it – well for 20p thought I, I’ll have a go. I dropped in me 20p coin and nothing happened. Miffed, I dropped in another – same result, nowt! 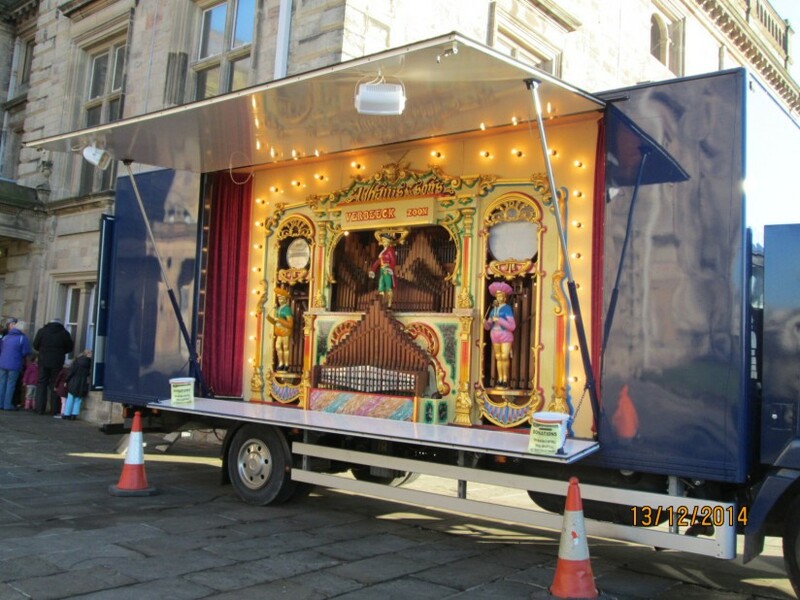 As I walked on to approach where I could hear organ music coming from I glanced back, and there was two youths using the same telescope that I failed to get working and talking about what they could see? Hey-ho! I thought this music is too good to be live and was too good to live. It came from the back of a large lorry trailer. Huh! Never did find me live brass band! My knees were getting bad now, so I made me way out and down to the Chinese shop to get Jane’s seaweed – I was quiet pleased with remembering to. When I got into the slab square, I thought I was looking at tram about an eighth of mile long? But it wasn’t, it was one that had broken down and a few trams behind it. I warned em yer know… about putting trams back on the streets again. 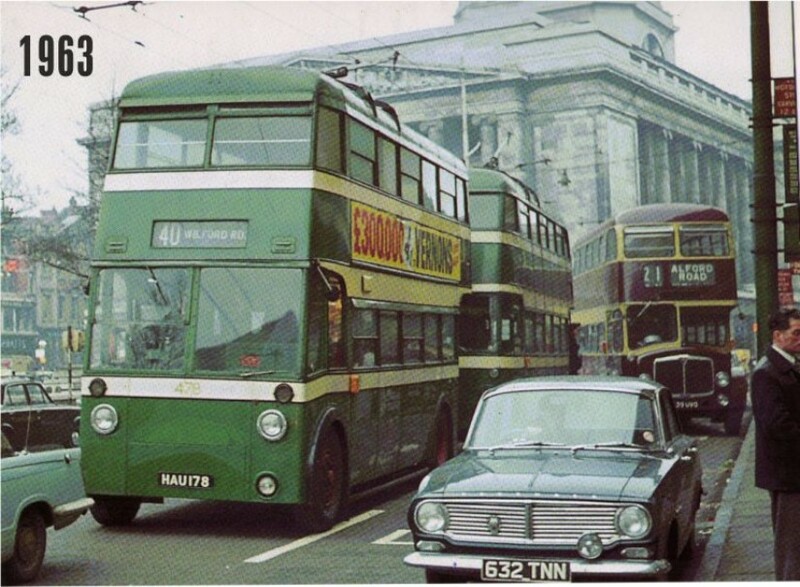 I wrote to the Evening Post and told em about this happening and that they should have put trolleybuses back on the road, if they break-down you just take the booms off the wires and other ones can pass – and with a reserve battery the broken down one back make its way under it’s own power back to the depot! Did they listen? No, they didn’t even print or acknowledge me letter. Tsk! 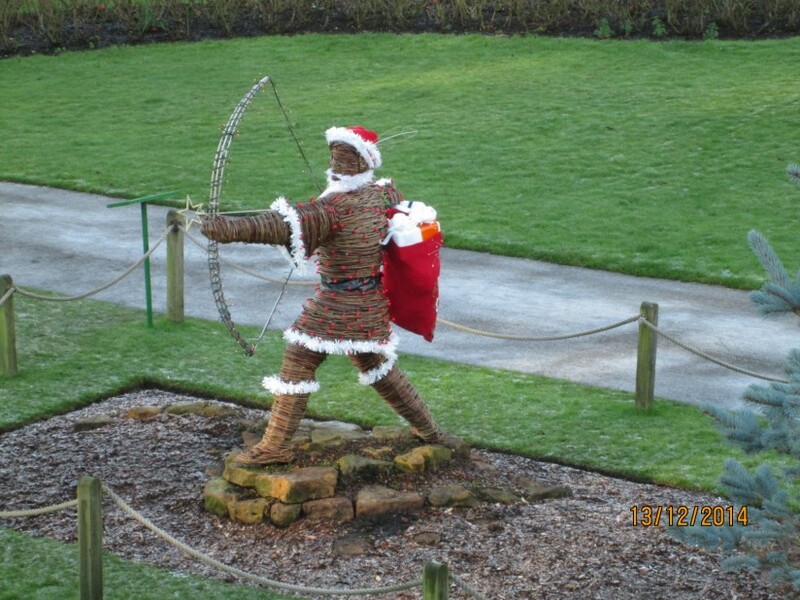 Oh dear, I forgot to tell you about the new statue of Robin Hood I noticed as I left the grounds of the castle. He’d been done-up in a Santa Claus get-up. And it looked crude cheap and nasty – but that’s Nottingham for yer. A bit like BT internet really… You don’t get what you expect to get! Fair enough I couldn’t make out a word they were singer either, but they were very melodic and I liked that. I left the Arcade by the top doors just in time to see some shoplifters being placed in the Police van. 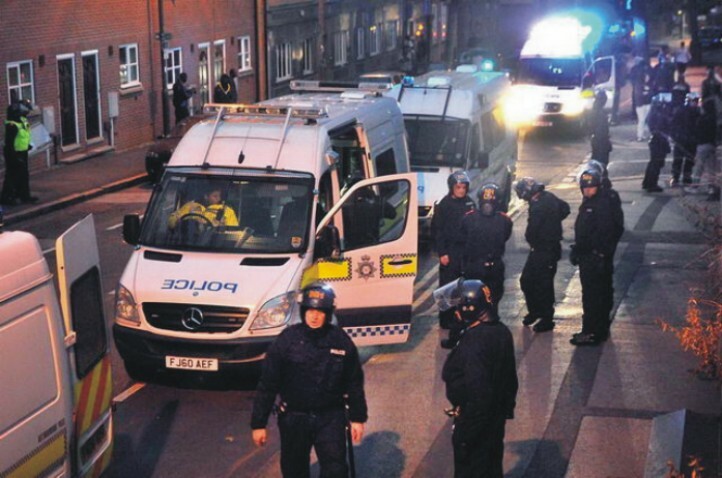 The officers returned to the shop – maybe they have more to collect and place in the van – I wouldn’t be surprised in the least. Thermal’s £3.99 on special – Thanks Mike! See I’ve got me grabber mended? I walked (limping by now) up Clinton Street. As I was passing the Sports Direct store it reminded me of what Mike Steeden (A blogger of genuine high quality humour and satire content) informed me of via a comment he made on Facebook. 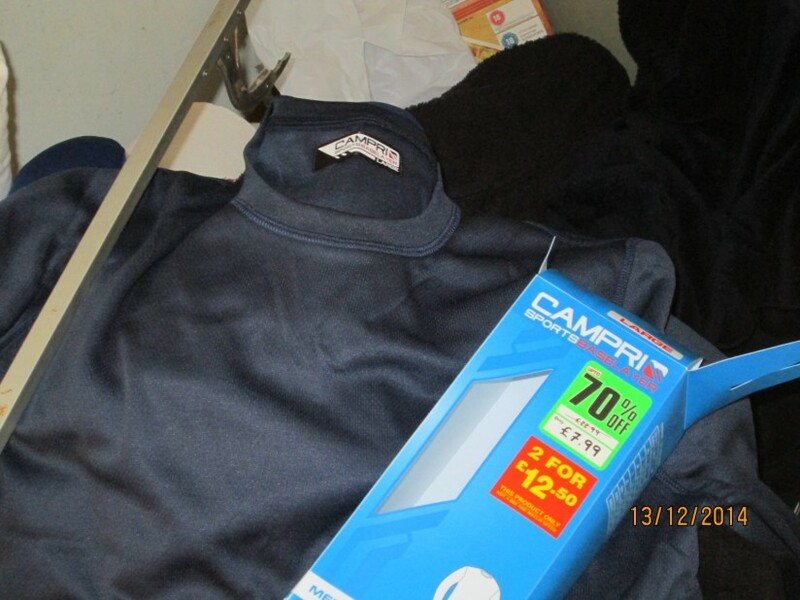 They have some thermal vests on offer at £3,99 each. So I went in to have a look – I thought I’d walked into a football match! Talk about a popular shop!Any-road I found the vest he was telling me about ‘Campris Sports Base-Layer. And they had them in large too. On the box was printed 70% off – Was £22.99 now £7.99 – Two for £12.99 and were selling at £3.99 each! So I got a couple. When I’d fought my out of the shop, I had to fight me way up Clinton Street to catch the bus back to the hovel. Then photographed the vest to put on here like, made a cuppa started laptop and finished this Diary off and got it posted. Facebooked and blogged a while. Up at 0530hrs. More nightmares but I can’t remember them. No blood from anywhere, that’s a positive. 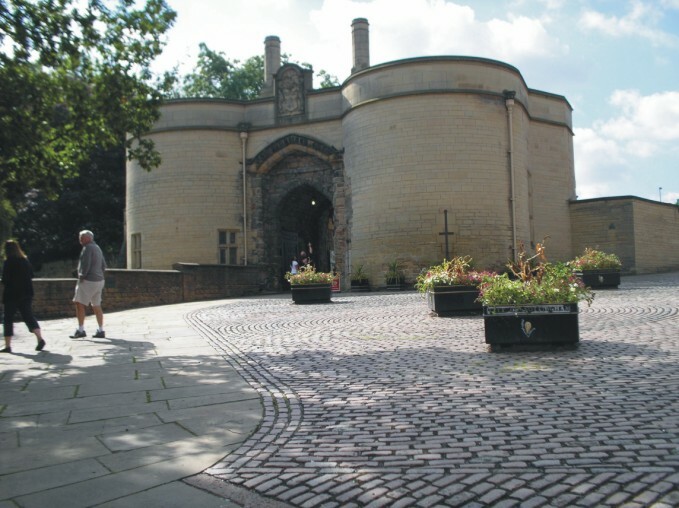 My sister Jane mentioned on the phone last night, that they, who live in the County do not get in free to visit Nottingham Castle, here as I, who lives (Using the term in its loosest meaning) in the City, get in free using my bus pass. She seemed rather irked with this. But her mentioning it, decided me to pay a visit to the Castle, especially as it is free for me. I got missen prettied up and set off on the good walk to visit Nottingham Castle. I managed to avoid the skateboarders and cyclist Although there was a couple of close shaves), and got into town, and bought a sandwich and bottle of orange to consume on me hobble around the castle grounds. The feet were stinging and the knees aching by then. I took many photo’s, until the camera batteries died a death. 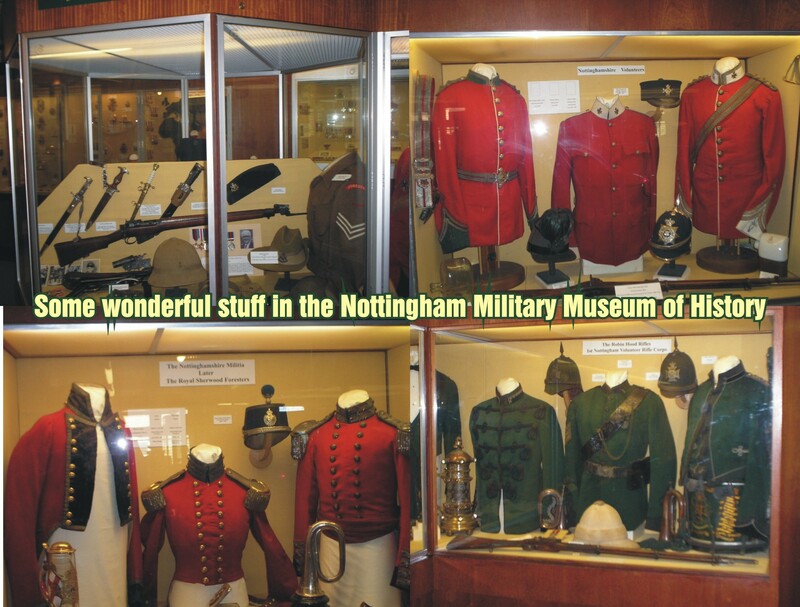 Went into the Nottingham military museum. I intend to create a post about the visit, perhaps calling in Inchcock’s Visit to Nottingham Castle, or some other creatively thought up title. I hobbled into town and caught the bus back to the hoppit. Put me things away and made a cuppa. Then udated this tosh. Our local historian, guide, agniologist and doddery pensioner Juan Inchcock takes you along the route, describing what we sees now, and what was there in his youth and before. A Nottingham born Lad of a gentle nature, uneducated, insanitary, and in ill health, he’s been reporting on Nottingham for many years. He’s currently the top unpaid journalist for WordPress.com. and a founder member of the ‘Outer Peruvian Pregnant Kangaroo Appreciation Society, and offers half of all the money that he doesn’t earn to support to the ‘Bring Back the Death Penalty for Politician’s – Senile Diplegic Supporters Division, Nottingham Branch’, as Secretary to the branches cleaning operatives third cousin. 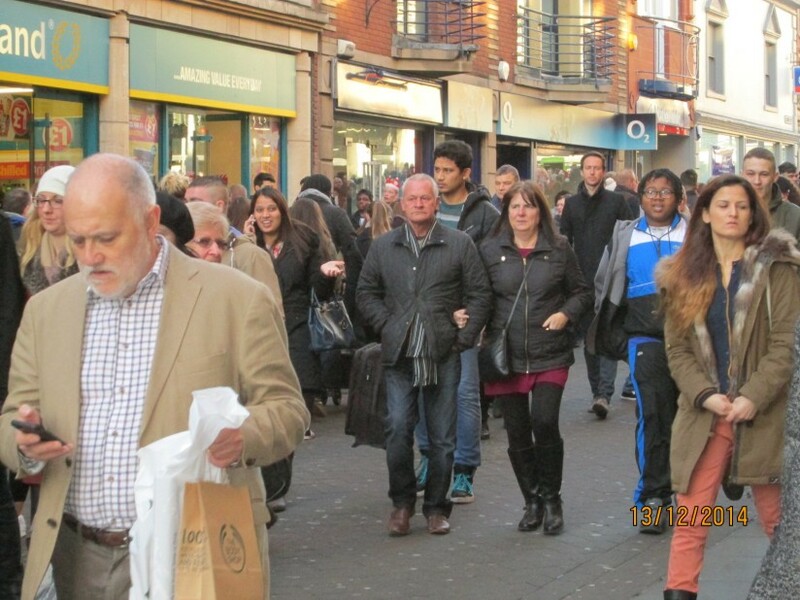 The comparisons depict the changing face of life for Nottinghamians’. 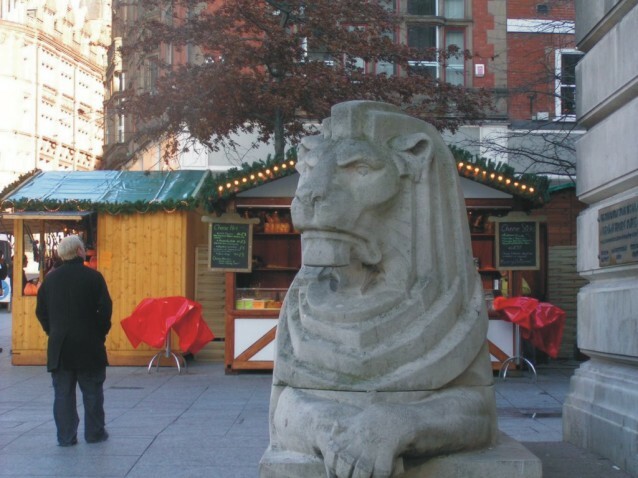 We stand in the market-place amidst the horse and carts of the traders, opposite the Soup kitchens. Bill Fury, one of my all time favourites, along with Nat King Cole, Dean Martin, Adam Faith, The Shadows, Acker Bilk… I’d better stop or I’ll not have any room left! We stand at the taxi rank, opposite the McFisheries supermarket. Billy Fury, Elvis, Adam Faith and the new group theBeatles records on sale at Griffin and Spalding store. 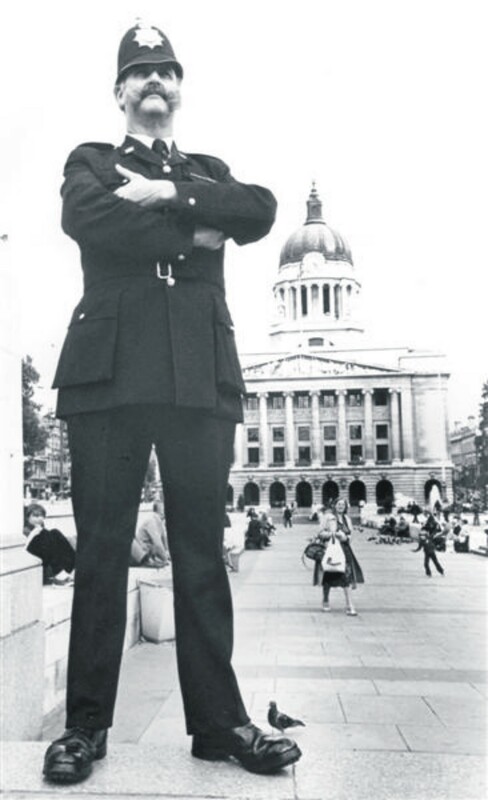 We stand on the new tram lines on South Parade, opposite the bank raided by armed robbers last July, the Pay-Day loan shop, and the Fountains provided for our children to play and urinate in, and the three Coffee Houses. On the corner on our left, is The Friary Cafe, tea or coffee 3d (1¼p) Toby’s department store, and Burton’s Tailors next to Wimpey Cafe/Bar. 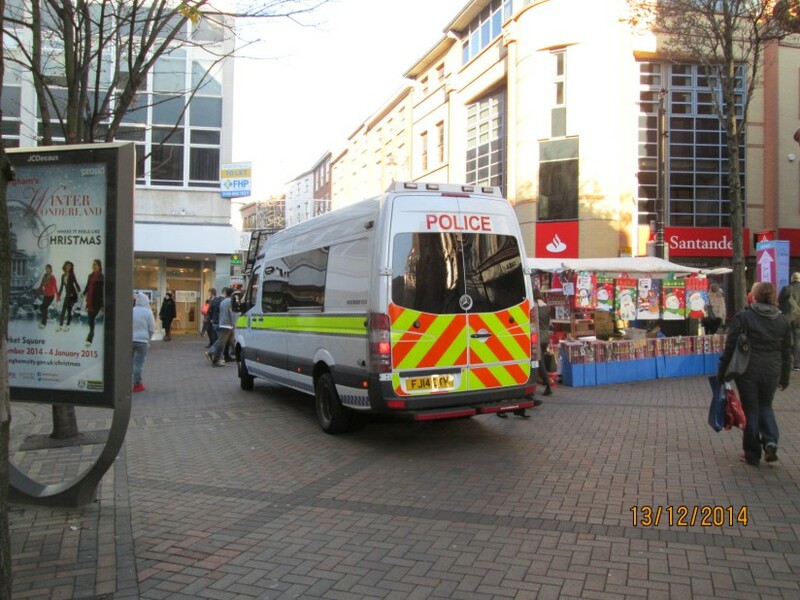 On the corner on our left, is Starbucks cafe, (looted in the 2010 Nottingham riots), tea £1.20 coffee up to £3.39. 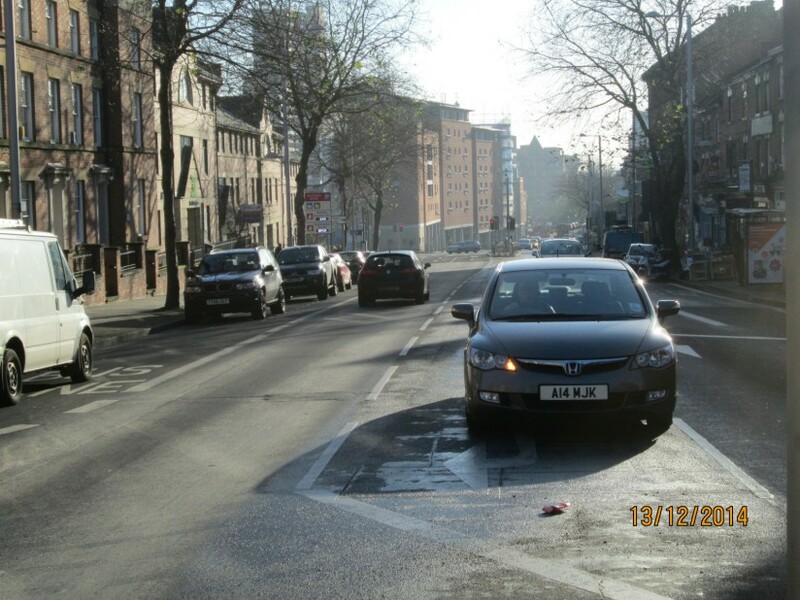 Where a few years ago I was responding to an alarm call, and got booked my a traffic warden. No buildings at all by the lane, which was almost a very wide pathway then. She earned more in a month as a part-time Barclay’s ‘Advisor’, than I did in a year! Didn’t bother me though… oh no! A sweetshop, Hambro’s Bank (went defunct in 1988), no Conservative minister investors to save them then, like William Hague to ensure his wife’s income from her part-time job as a Barclay’s bank advisor remained profitable, like in 2010, an old peoples help centre (conveniently positions at the top of the hill).. oh dear, now closed down, and an Indian restaurant. A cobblers, hairdressers, empty Co-op bank building, and a Charity Shop, Chinese Food shop, and Pay-Day Loan crooks shop. Many beautiful designs of Fothergill’s in Nottingham have destroyed by our wonderful Nottingham City Council. This one survived, but is unoccupied. Some magnificent houses of the rich, designed by William Fothergill, gargoyles included. The grand Toby’s Department Store (Vernon House). Went Bankrupt a few years later. A Charity shop, the Citi Restaurant (Beer from £2.99 per bottle), and a newsagents. This area was (apart from a footpath forged through it) all wasteland, with lookout posts from the military based at the Castle. Indian Resturant Fish and Chips £7.99. Newspaper shop – Evening Post 50p weekdays, 60p Saturdays. 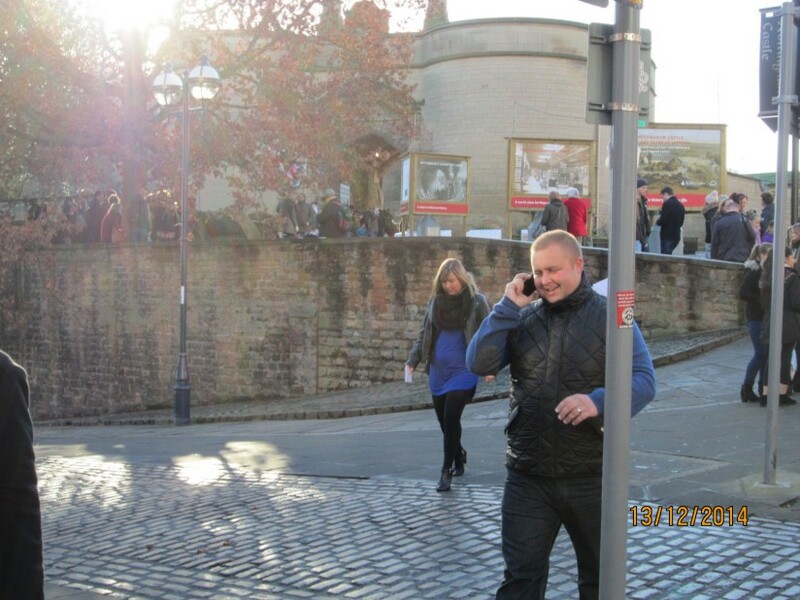 Lookout post for Nottingham Castle troops. 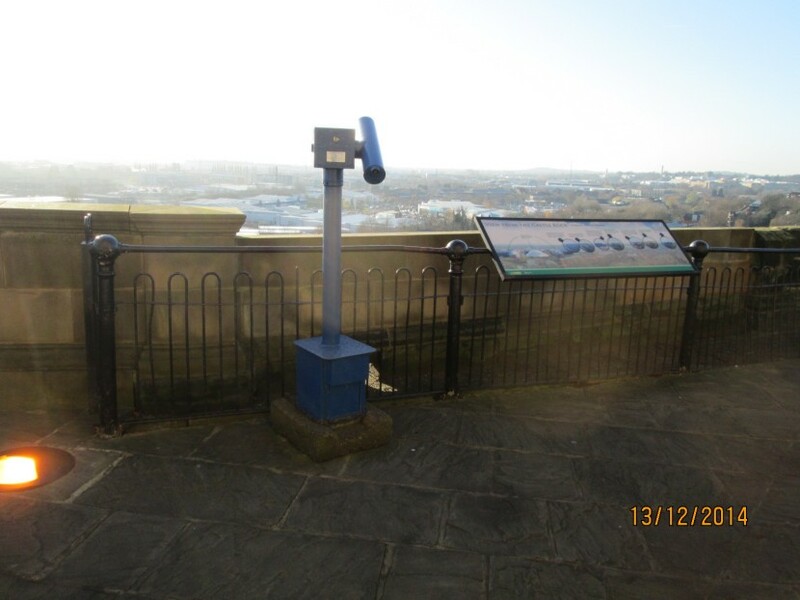 Derelict lookout post for Nottingham Castle troops. 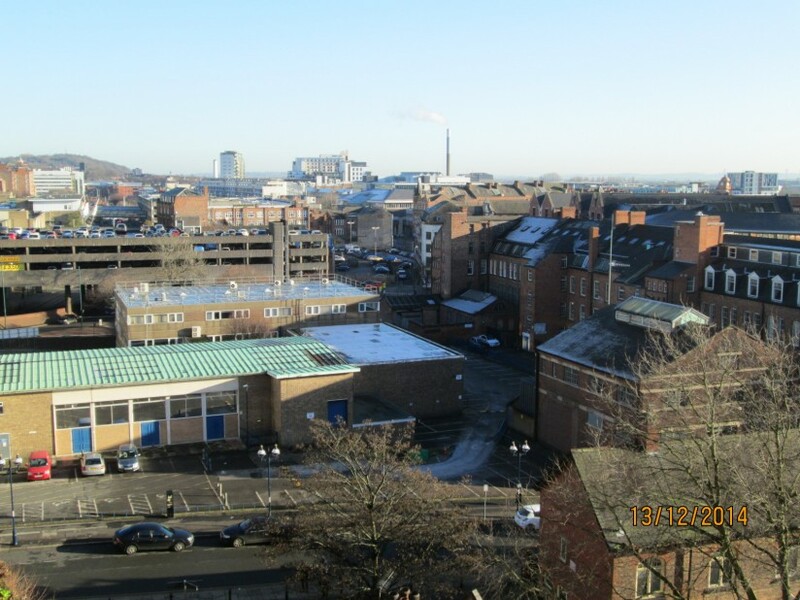 Abandoned Robin Hood Centre (torched in the Nottingham Riots 2010). Stables for the cavalry based at Nottingham Castle. Travel Agents, Wimpey’s snack bar, and ice cream shop. Row of abandoned businesses, charity shop, and a night shelter for street dwellers. Residential and now offices built. Near main gates: Horse-guard’s Cavalry Stables and arsenal. No admittance to the citizenry. Near main gates: Ice-cream vendor, flower seller, and Boy Scout hut. Robin Hood statue and car park. Admission free. Near main gates: Graffiti ridden Robin Hood statue cleaned up, CCTV cameras, No parking sign, Admission fee £6.50.